Oh Em Geez! This pie is my all time favorite. This recipe is courtesy of my mother-in-law. 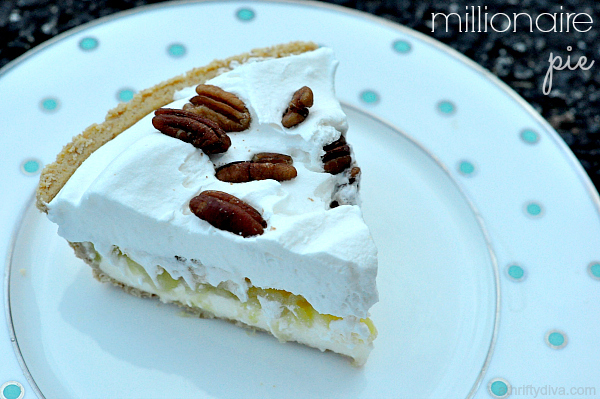 It’s a creamy cold delicious pie with pineapple and banana filling. Perfect for a party. I made these for the Labor Day weekend and they are all gone. 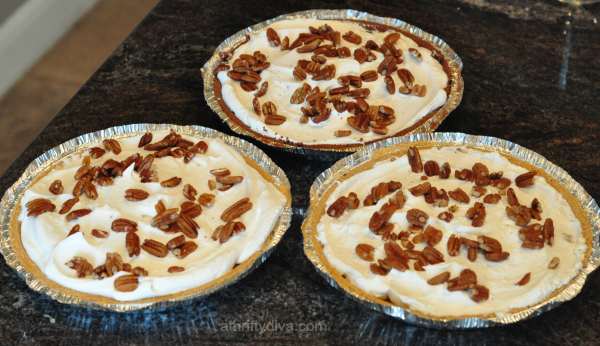 Here’s the step by step to making three absolutely delish pies. 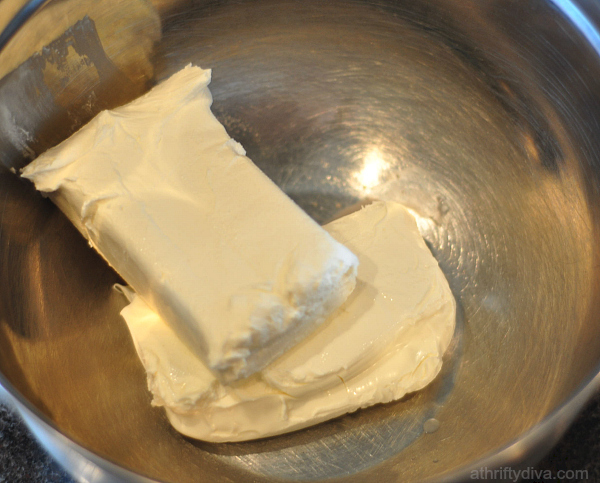 Take two packages of softened cream cheese. I leave mine out for thirty or so minutes before I start. Add 1 cup of powdered sugar. 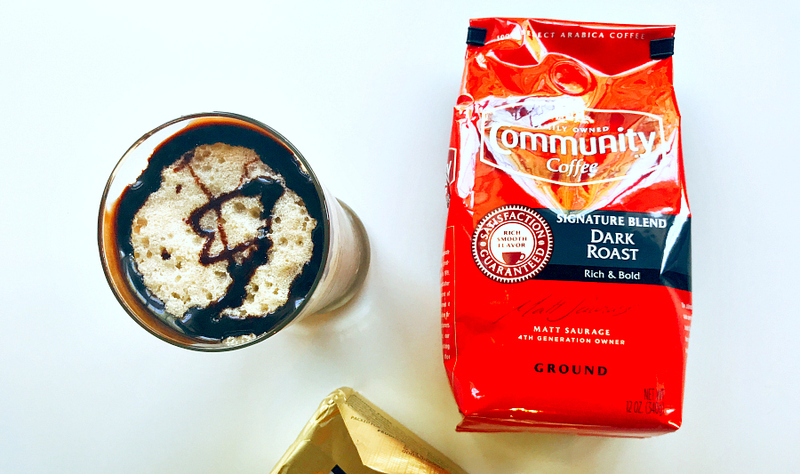 Blend with electric mixer until creamy. 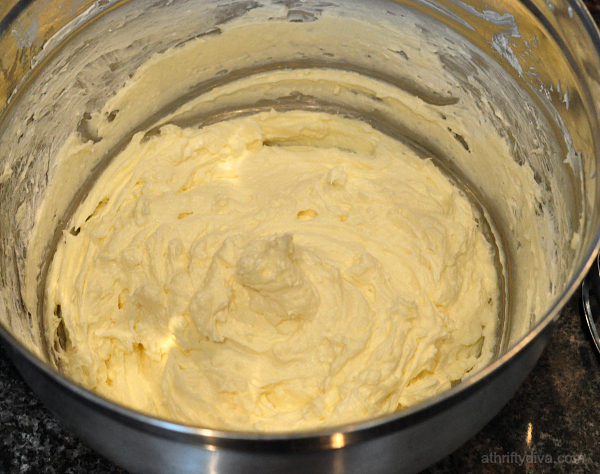 Add 1 cup of cool whip and blend about 20 seconds to complete cream filling. 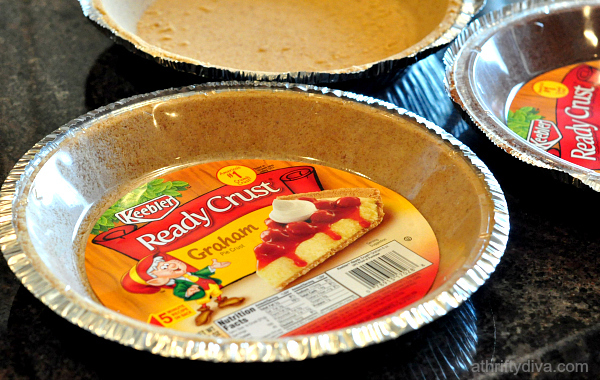 These are the pie crusts I use. Keebler makes the regular size and a large one (don’t get the large one). Just get (3) of the regular size graham ready crusts, grab a chocolate one too (if your feeling daring). 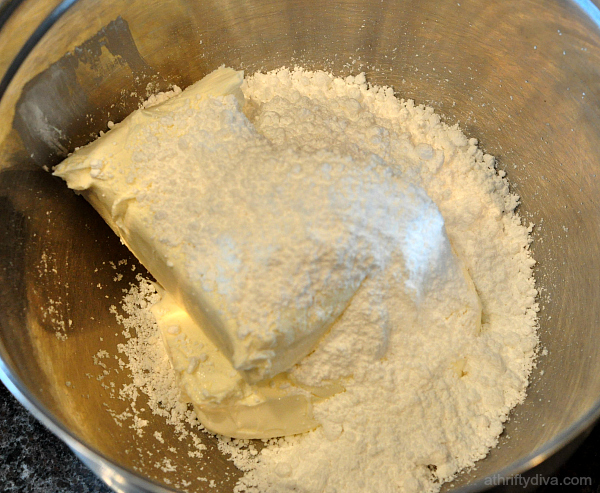 Distribute cream filling evenly among the (3) crusts. I just plop big spoonfuls into each. Now we have to spread it. This is the part you want to be careful with. If you rush it the pie crust will crumble and mix in with the filling. I take a fork and slowly mash it down until it evens out along the bottom. 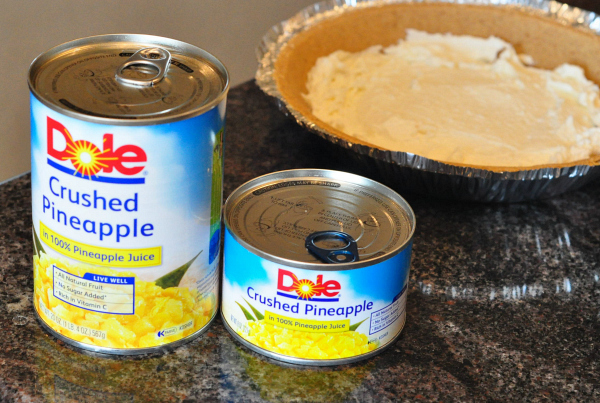 Next I take crushed pineapple (in pineapple juice) not the syrup and drain it. Again evenly distribute the pineapple as a layer over the cream filling. Add sliced bananas on top of the pineapple. 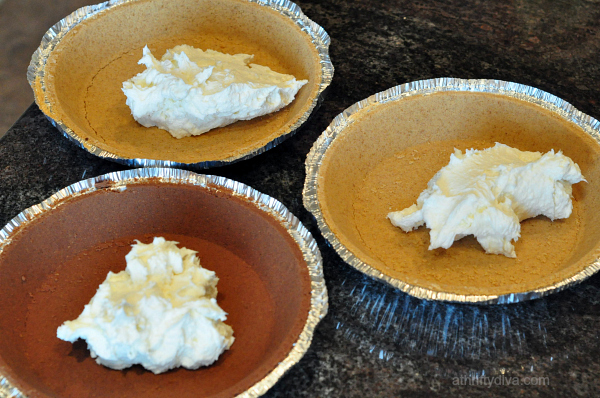 Top the pies with cool whip to the brim of the shells. Sprinkle on some pecan halves. Cover these pies and place in refrigerator at least one hour before you serve. 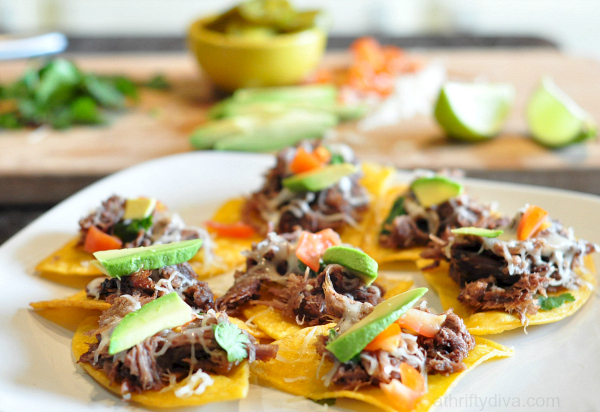 I like leaving overnight which really sets the layers and makes them super easy to serve. 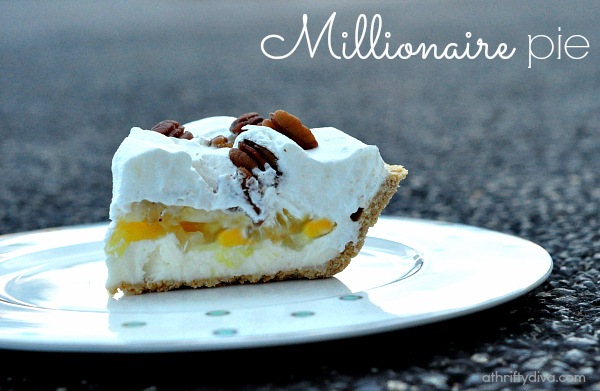 This pie is delish and even if three pies sounds like a lot it isn’t. We usually go for a second slice all around and having a pie for the next day is always exciting. 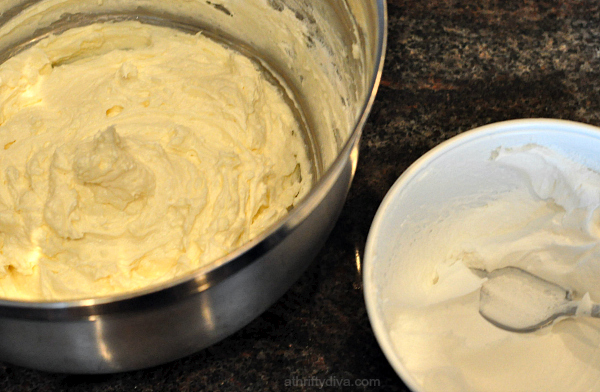 In a large bowl blend powdered sugar, cream cheese and 1 cup cool whip. 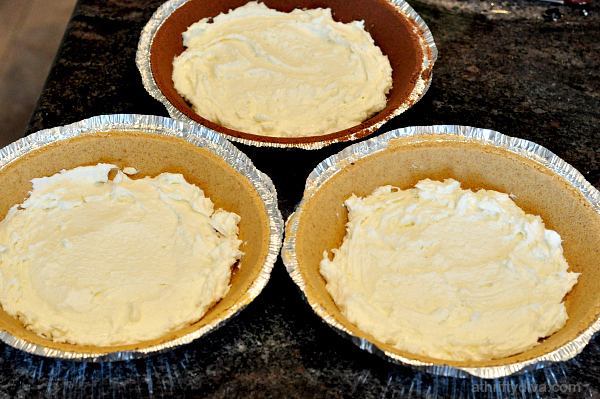 Layer this cream filling evenly among three pie shells. 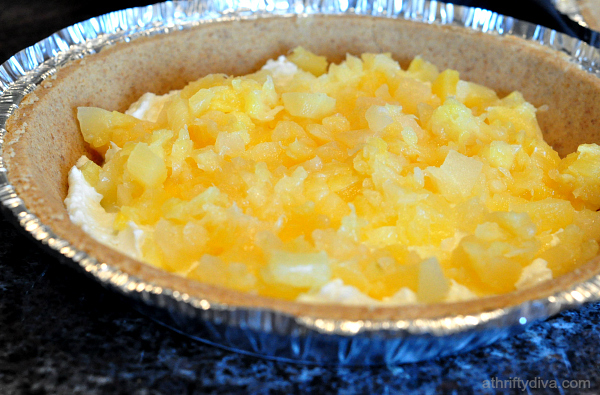 Drain pineapple and evenly layer on top of cream filling. 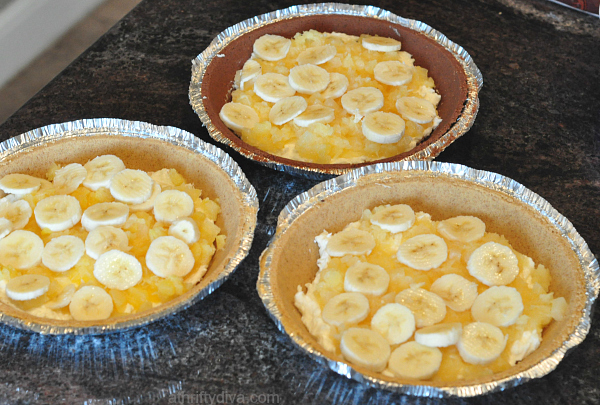 Slice bananas and layer over pineapples. Layer cool whip over and fill to graham cracker line. 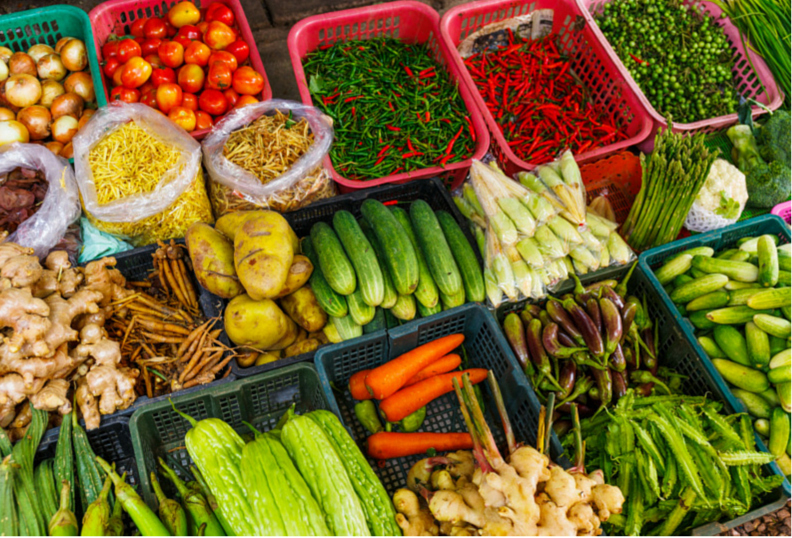 Place in refrigerator at least 1 hr.